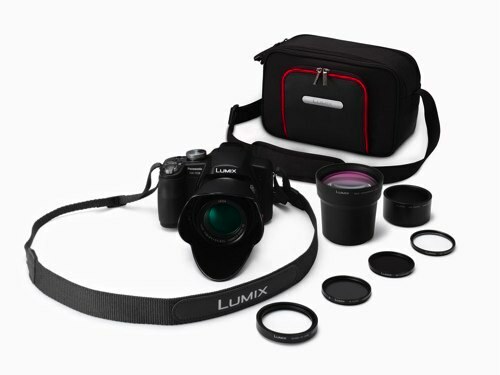 Here’s a list and description of the wide line of optional accessories available for the Panasonic Lumix DMC-FZ28 digital camera to expand shooting possibilities. A tele-conversion lens with 1.7x power (equivalent to 826.2mm on a 35mm film camera) and a close-up lens can be mounted using a lens adaptor. An ND filter and new PL filter are also available to provide the FZ28 with true high-end camera capabilities. Panasonic DMW-HDC2 Component Cable Adapter (official description) This cable helps give a much better video quality when you connect your FZ28 to an HDTV set compared to what you’d get with a standard (yellow) video cable.